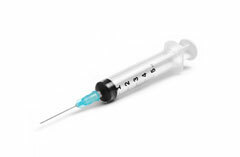 Featuring fast cures, thermal stability and a wide range of viscosities, our UV curable compounds and one part epoxy systems are ideal for needle bonding applications.Single component, no mix epoxy and UV curable adhesive systems offer fast cure speeds in bonding cannulae to hubs in syringe needle assembly applications. Available in a variety of viscosities, these compounds are designed for high volume production operations. 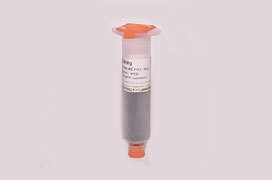 They are USP Class VI certified and resist exposure to steam autoclaving, ETO and gamma radiation sterilization exposure. 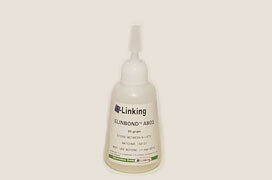 Needle bonding adhesives also feature high thermal stability. These compounds are fluorescent and can be inspected with a low intensity black light.